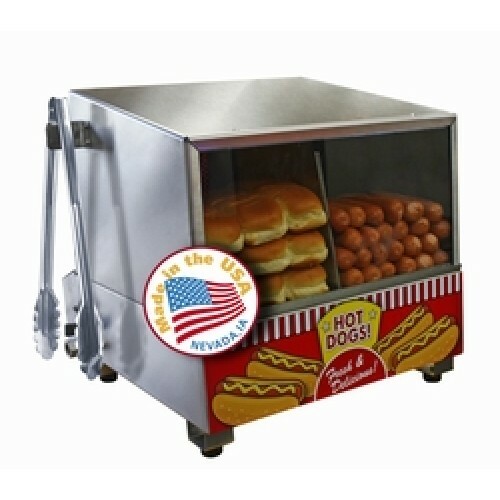 Manufactured Fun Classic Dog Hot Dog Steamer & Merchandiser is a compact machine with the ability to manage a high customer demand.! 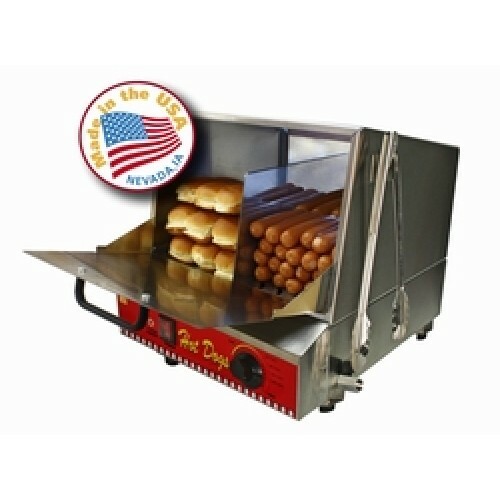 This hot dog steamer/cooker is ideal for use in Rental Shops, Convenience Stores, Concession Stands, Vending Carts, Break Rooms, Fast Food Restaurants, Snack Bars, Cafeterias, Ball Fields and many others! Removable product trays and foldout door allow for easy access to hotdogs and makes for simple and easy clean up. Dishwasher safe!